Stormont Election An election to the Stormont parliament was held. The main feature of this election was the fragmentation of the Unionist party into ‘Official Unionist’ and ‘Unofficial Unionist’. Of the 39 unionist candidates returned in the election 27 were in support of the policies of Terence O’Neill, then Northern Ireland Prime Minister, while 12 were against or undecided. Two Catholic teenagers, Martin McGuigan (16) and James Keenan (16), were killed by the Irish Republican Army (IRA) in a remote controlled bomb explosion at Darkley, near Keady, County Armagh. The British government indicated that it would amend laws in Northern Ireland relating to homosexual acts to bring them into line with laws in Britain. The Ulster Unionist Party (UUP) and the Democratic Unionist Party (DUP) announced the establishment of a ‘task force’ to produce an alternative to the Anglo-Irish Agreement. The Unionist Task Force reported on 2 July 1987. Two members of the Ulster Defence Regiment (UDR) were killed by a remote controlled bomb in Belfast. The attack was carried out by the Irish Republican Army (IRA). The Ulster Unionist Party (UUP) announced that its councilors would resume meeting with Northern Ireland Office (NIO) Ministers on issues of ‘specific importance to any council area or relevant board’. 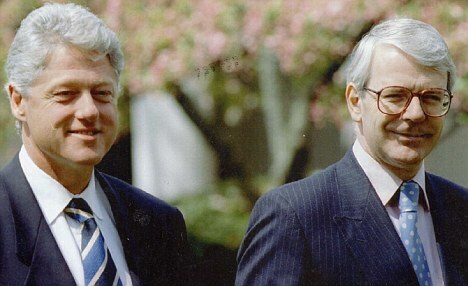 John Major, then British Prime Minister, held a meeting with Bill Clinton, then President of the United States of America (USA), in Washington, USA. Major later stated that he found Clinton’s proposal of a ‘peace envoy’ to be unhelpful, but was in favour of a representative undertaking a “fact-finding” visit to Northern Ireland. Jack Smyth (23), a Protestant civilian, was shot dead by the Irish National Liberation Army (INLA) as he worked as a doorman at a public house on the Lisburn Road, Belfast. The Social Democratic and Labour Party (SDLP) announced its list of candidates for the forthcoming general election. Bertie Ahern, then leader of Fianna Fáil (FF) address a public meeting in south Belfast and told the audience that any new Irish Republican Army (IRA) ceasefire could not be “conditional or tactical”. The Garda Síochána (the Irish police) uncovered a 250 pound bomb in County Cavan which was being prepared for transportation to a target in Northern Ireland. Marjorie (Mo) Mowlam, then Secretary of State for Northern Ireland, announced the appointment of a new Parades Commission containing seven members. Among the new members were two people with a background in the Loyalist tradition, Glen Barr and Tommy Cheevers. Mowlam stated that she couldn’t find anyone from a Republican working-class base to balance the two appointments. A representative of the Irish Republican Army (IRA) contacted the British Broadcasting Corporation (BBC) in Northern Ireland to state that the IRA had not been involved in recent bomb attacks and also to deny that there was a split in the organisation. An umbrella group called New Agenda was formed when representatives of civic leaders from business, trade unions, the churches, and the voluntary sector in Northern Ireland met in Belfast. The group announced its support for the peace process and have urged the public in Northern Ireland to play a greater role in the search for a peaceful settlement. British Army officers made safe an explosive device in north Belfast. John McFall, then Education Minister, announced that £51 million would be made available for childcare in Northern Ireland. Colm Murphy (48), from County Armagh, was charged at the Special Criminal Court in Dublin in connection with the Omagh bombing on 15 August 1998. He was also charged with membership of an unlawful organisation. The Red Hand Defenders (RHD) admitted a pipe-bomb attack on a house in Rosapenna Street near a peaceline in north Belfast. Residents living beside the peaceline expressed fears that Loyalist attacks were escalating. The device was discovered at around 8.45am in a back garden in Rosapenna Street off the Oldpark Road. Gerry Adams, then President of Sinn Féin (SF), gave an interview on Radio Telefis Éireann (RTE) in which he stated that SF recognised that the Defence Forces were the only legitimate army in the Republic of Ireland. 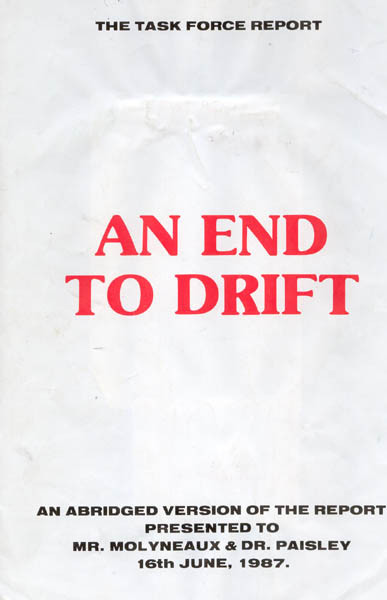 Adams’ statement was prompted by the criticism levelled at SF by Michael McDowell, then Irish Attorney General, when he said that a party with loyalties to the Irish Republican Army (IRA) had no place in the Dáil. Found shot Rathlin Drive, Creggan, Derry. Alleged informer. Died ten days after being shot from passing car while walking along Portrush Road, Coleraine, County Derry. Shot at security barrier, Church Place, Lurgan, County Armagh. Killed by remote controlled bomb hidden in trailer, detonated when he walked past, Darkley, near Keady, County Armagh. Mistaken for British Army (BA) foot patrol. Shot outside friend’s home, Glenvale Road, off Northland Road, Derry. Killed when remote controlled bomb, hidden behind hoardings, was detonated when Ulster Defence Regiment (UDR) mobile patrol arrived at permanent VCP, Royal Avenue, Belfast. Died shortly after being injured, when remote controlled bomb, hidden behind hoardings, was detonated when Ulster Defence Regiment (UDR) mobile patrol arrived at permanent VCP, Royal Avenue, Belfast. He died on 25 February 1988. Off duty. Killed by booby trap bomb attached to his car while travelling along Lislasley Road, near Loughgall, County Armagh.